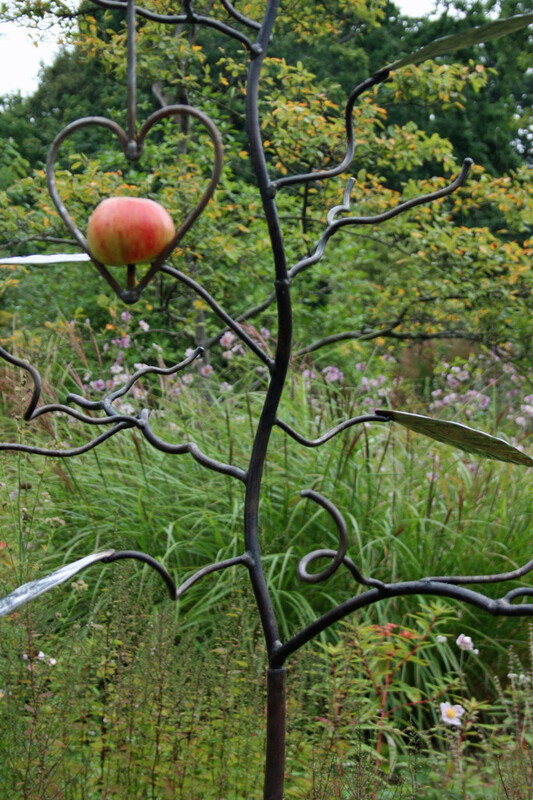 Home- Birdfeedertree - Bird Feeder Tree-Unique Birdfeeder Tree Stand Sculpture, garden stakes, birdfeeders and all handmade by our family in the UK! 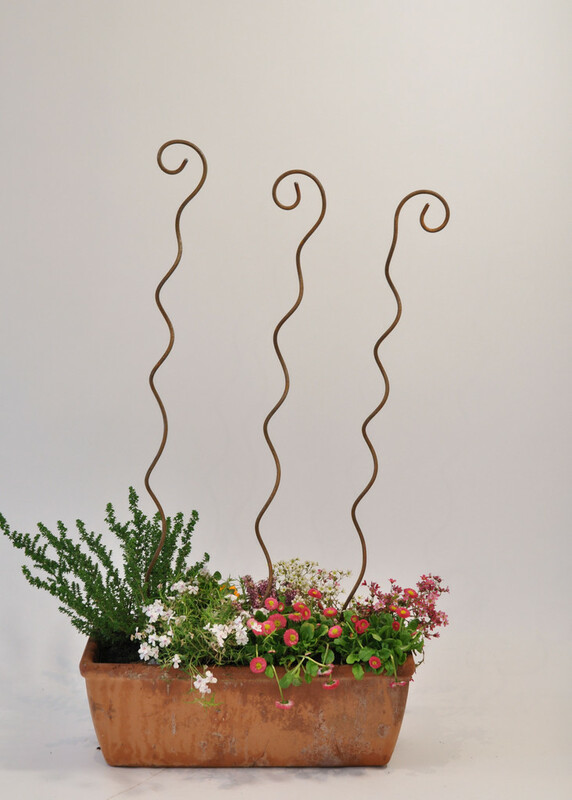 Approx dimensions: h 200cm x w-70cm. 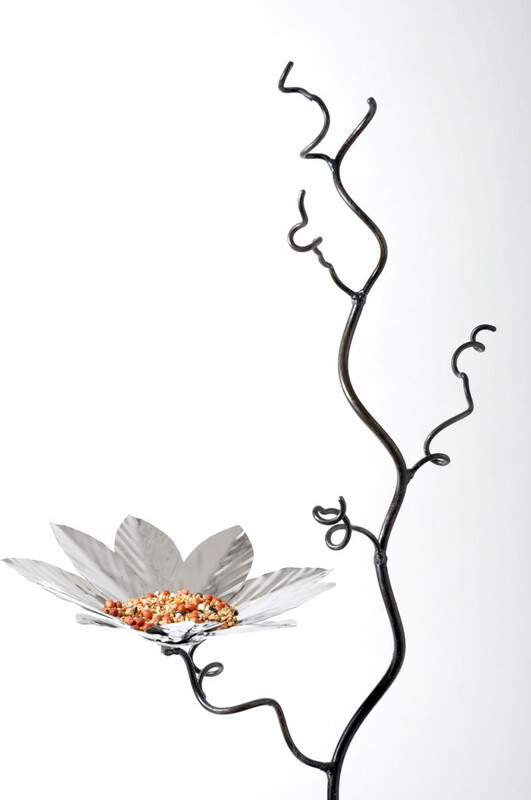 The Sculptural Birdfeeder Tree Bird stand with oval leaves is a stunning functional piece of art for the garden. 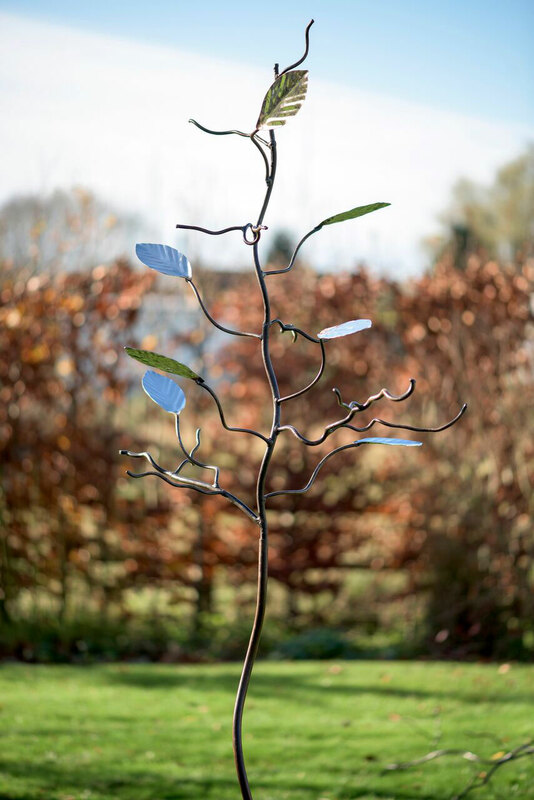 Each birdfeeder tree is beautifully crafted in our workshop in the UK. 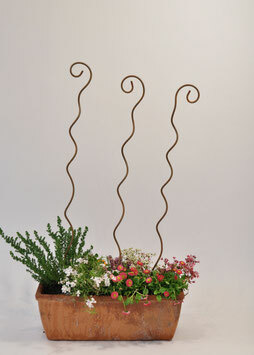 Approx dimensions: h 215cm x w-73cm. 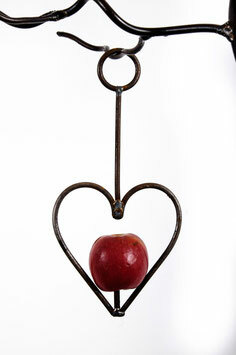 Made from oxidised steel with a preserving waxed finish, it has a natural wood like look. 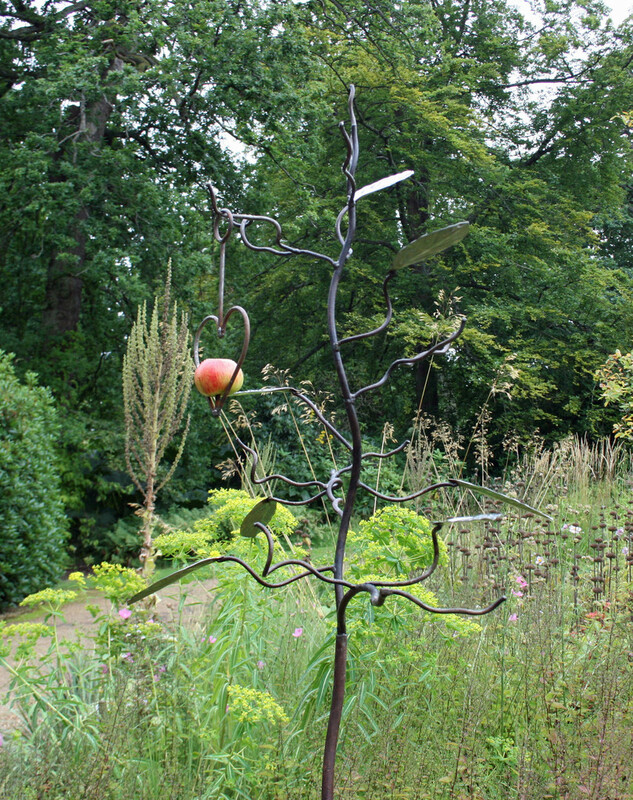 The Birdfeeder Tree sculptural birdfeeder comes apart in two sections for two reasons, firstly for ease of transport and secondly, so that when pushing the bottom section into the ground, it the ground is dry, it provides a central point onto which you an hammer with a rubber mallet/ hammer and piece of wood to ensure stability. 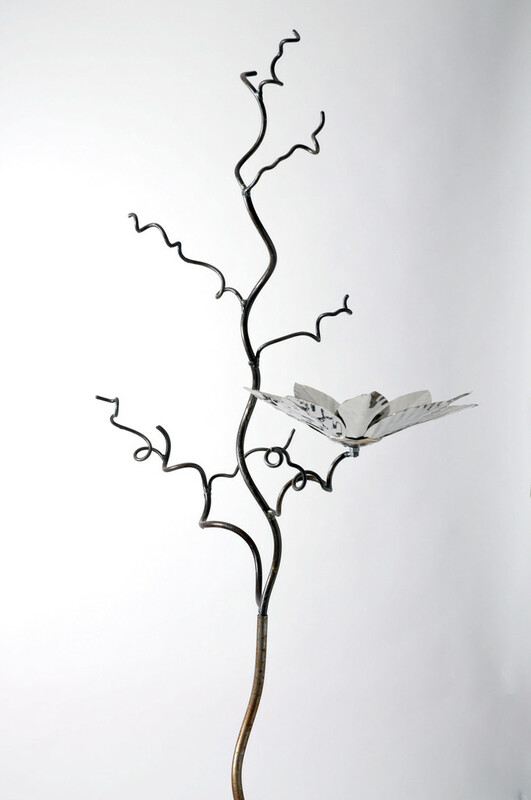 The Birdfeeder Tree unusual tree feeding station can be supplied with a detachable stainless steel flower feeder (£130 complete as seen,) in it's simple structural form, (£89), or with various different stainless steel leaves, all of which are available on other pages of this website. 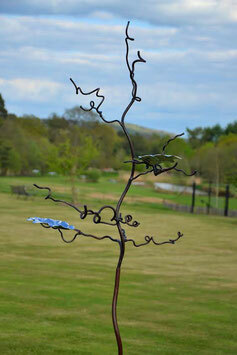 The Sculptural Birdfeeder Tree Bird stand with oak leaves is a stunning functional piece of art for the garden. 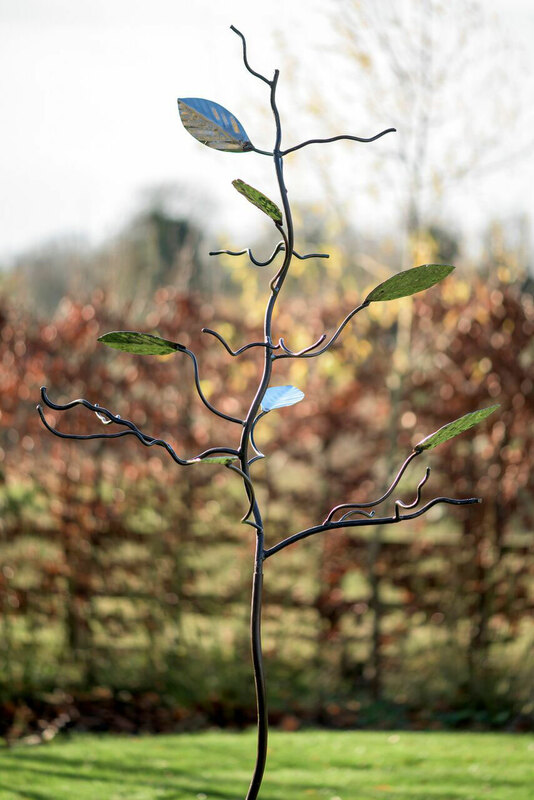 Each birdfeeder tree is beautifully crafted in our workshop in the UK. 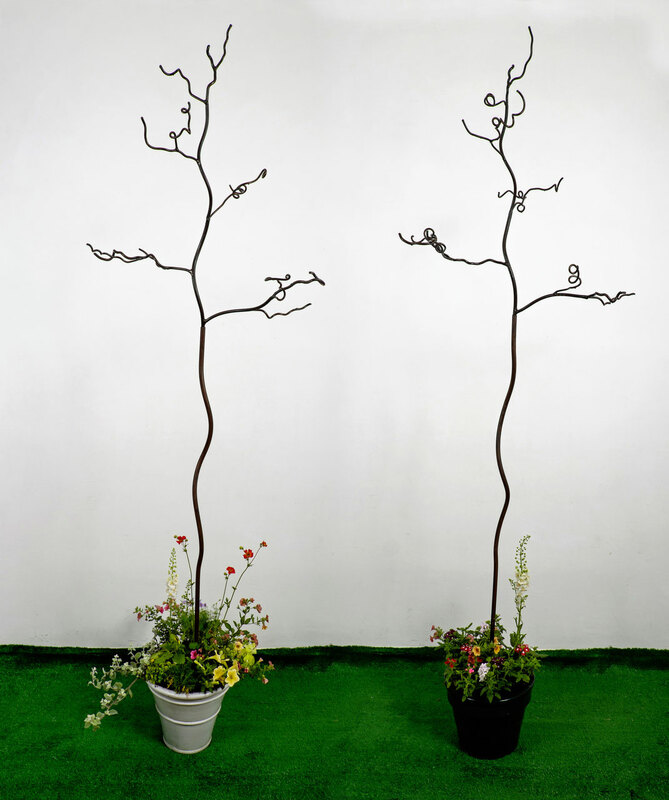 The Birdfeeder Tree unusual tree feeding station can be supplied with the stainless steel oak leaves, in it's simple structural form, with a detachable stainless steel flower feeder or with oval stainless steel leaves, all of which are available on other pages of this website. 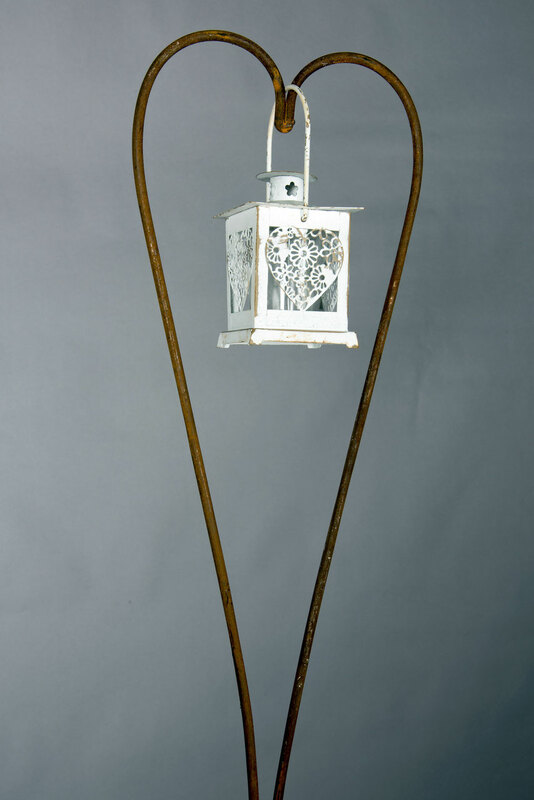 Approx dimensions: h 215cm x w-74cm. 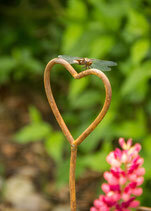 Just a quick note to say that I am delighted with the feeder, which has just arrived. 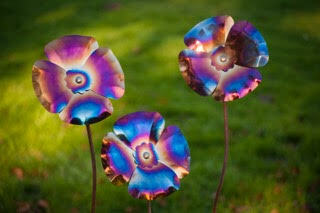 The photo does not do it justice...much more beautiful. 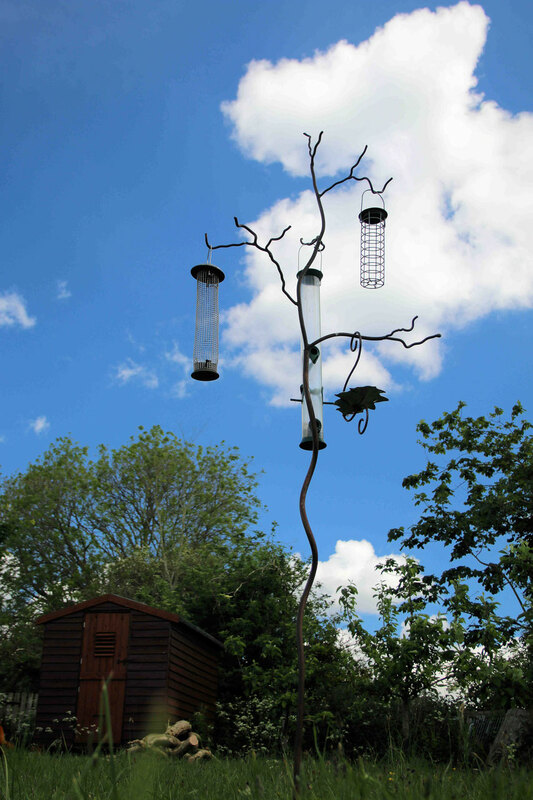 If it stops raining tomorrow I will get it into the garden to feed some more of the hoards of siskin and redpoll we have at the moment! 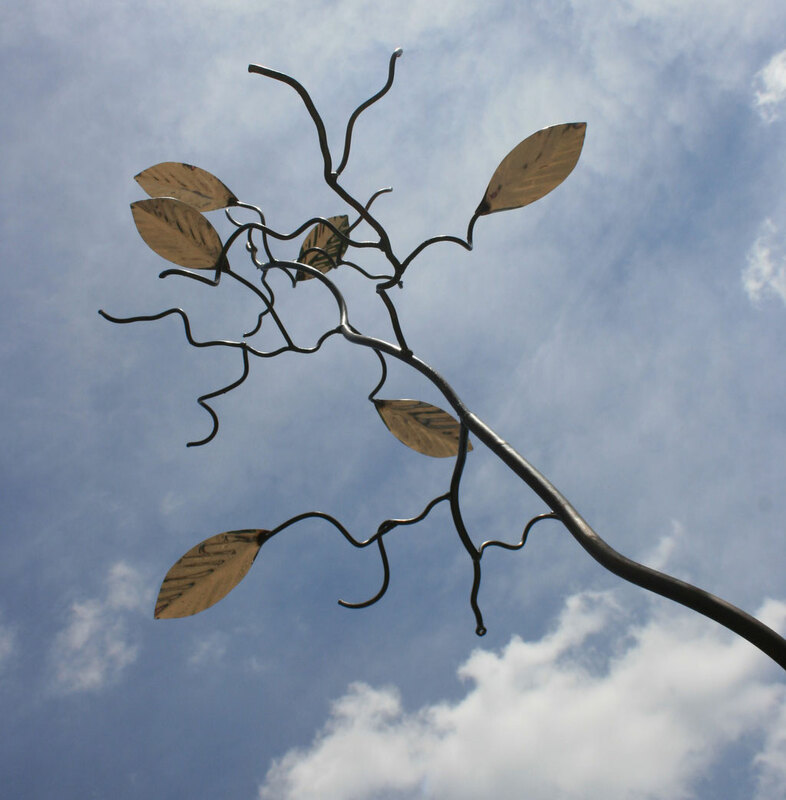 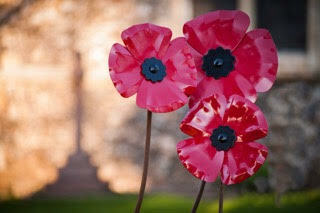 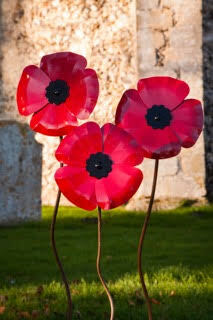 Just to let you know that the sculpture has been safely delivered, and installed in my garden ! 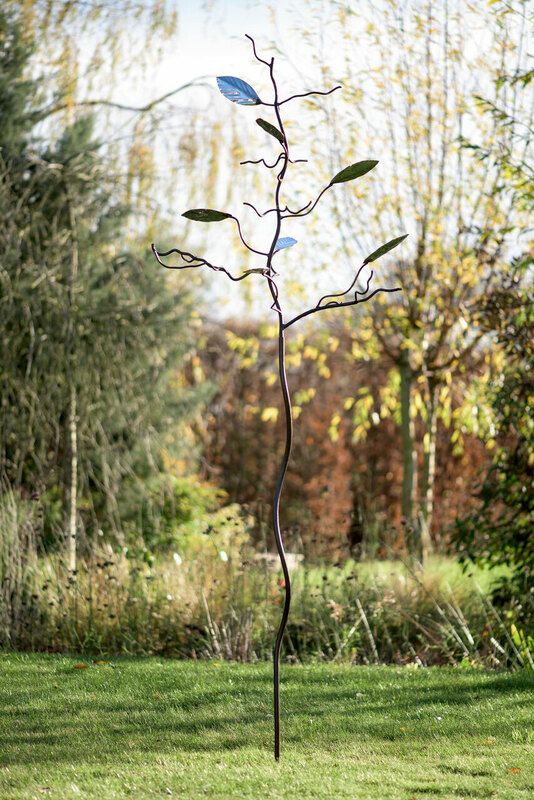 I am delighted with it, and with the latest high winds, so glad that the leaves are staying put, and certainly not sending acorns all over the place!! 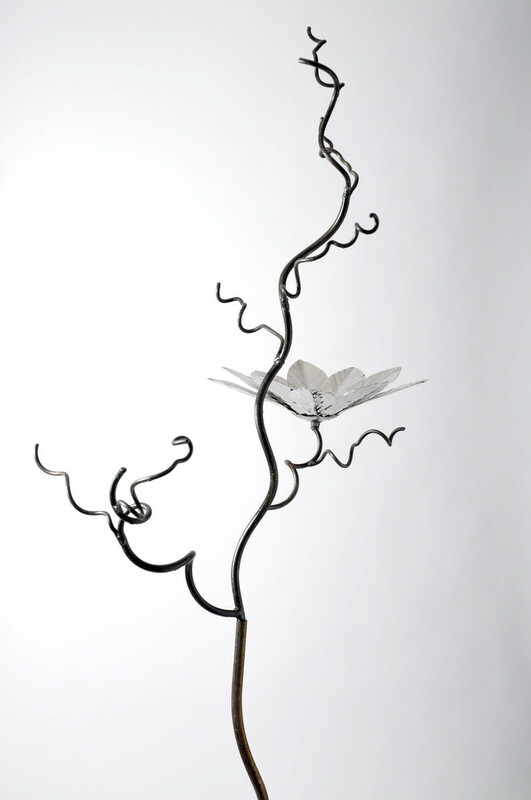 I look forward to many years of pleasure from your delightful creation, and will keep my eyes open at future exhibitions for examples of your work. 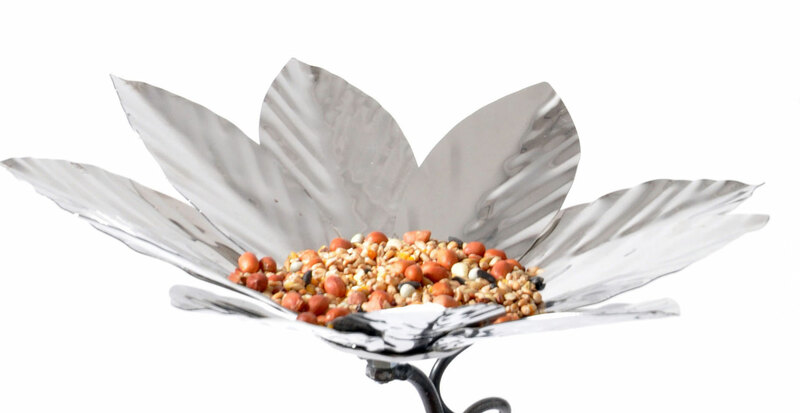 The flower birdfeeder in stainless steel comes with a bolt on the underside of the flower. This allows for easy attachment onto the nut that is welded onto the end of one of the branches of all our birdfeeder tree : standard- without leaves; oval leaf birdfeeder tree and oak leaf birdfeeder tree bird feeding stand. 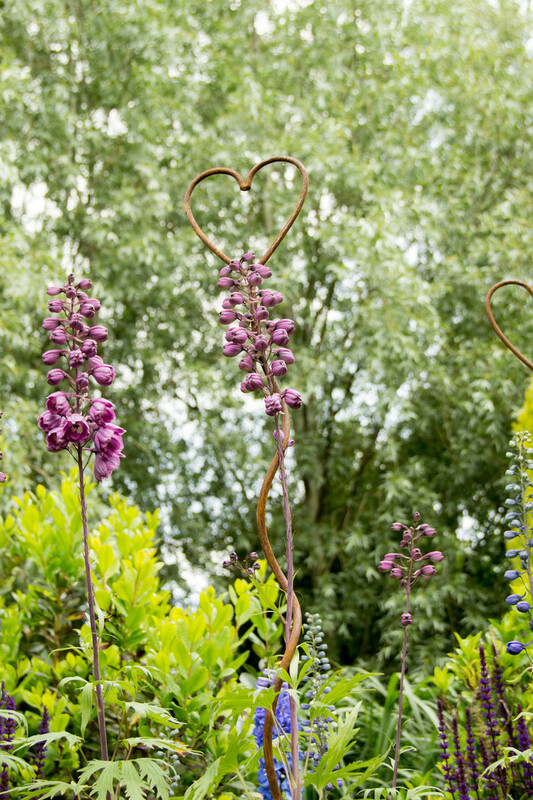 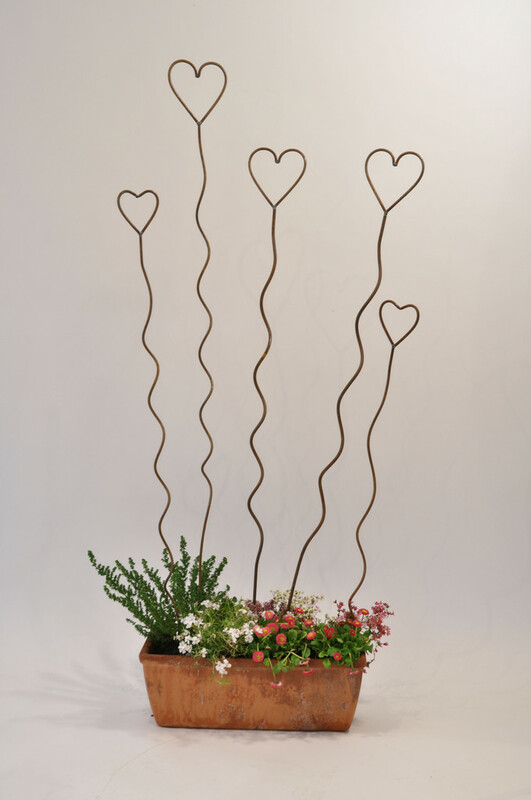 These gift wrapped heart decorative plant supports have been lovingly handmade in our studio in the UK. 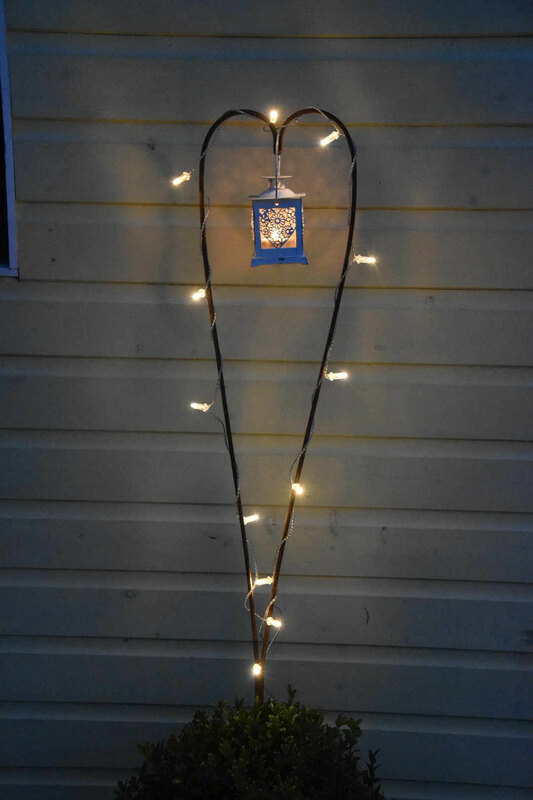 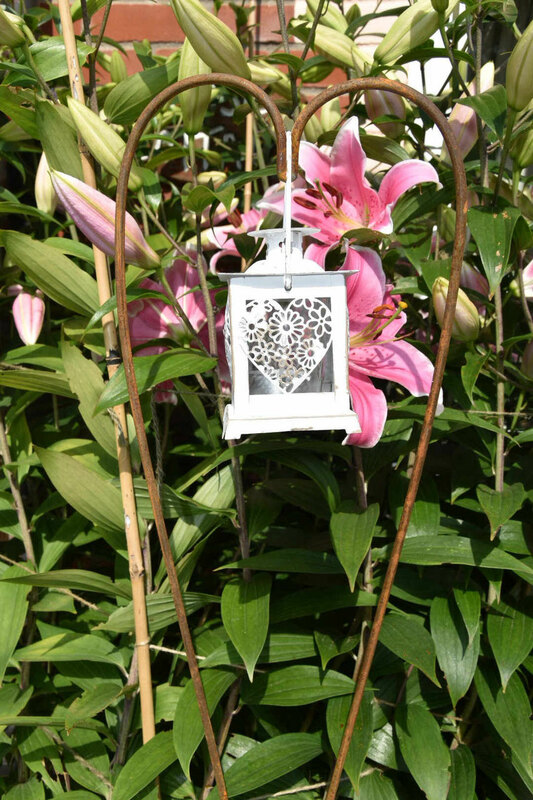 Heart Lantern Holders- gift wrapped. 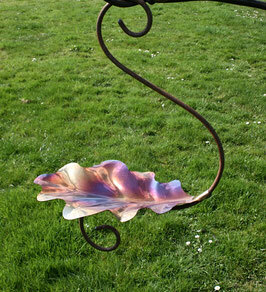 Oak Leaf seed and fatball Bird Feeder in stainless steel. 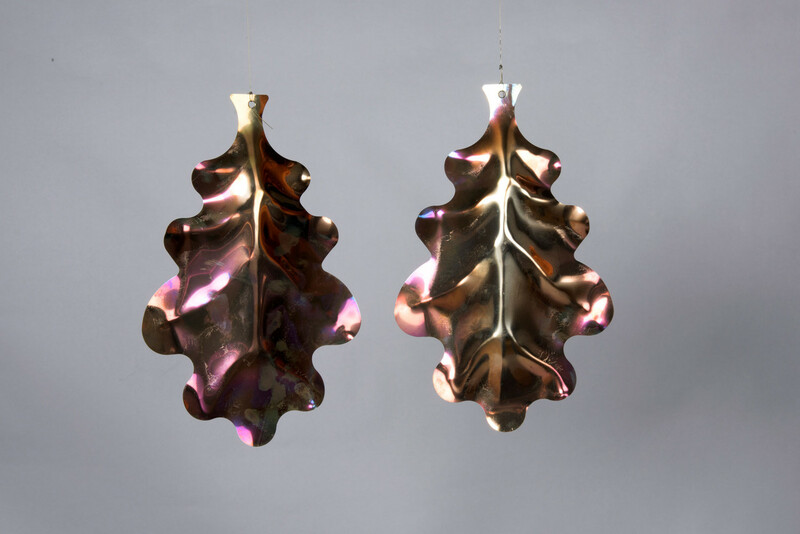 Now only available in the coloured patinated stainless steel finish. 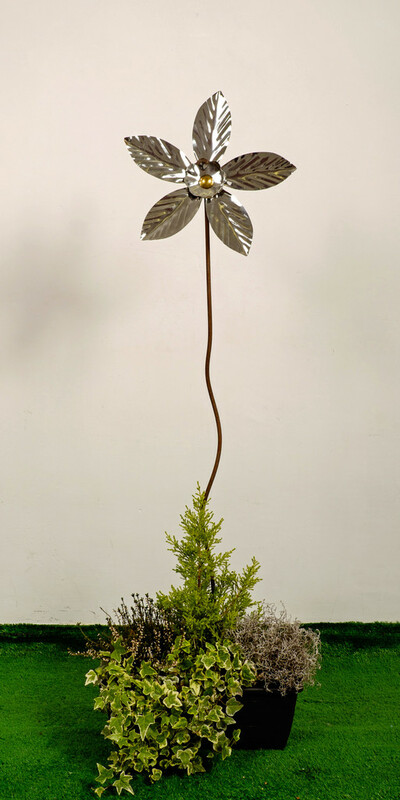 Fern Frond Decorative plant support and bird feeder stand in rustic steel handmade in Norfolk, UK. 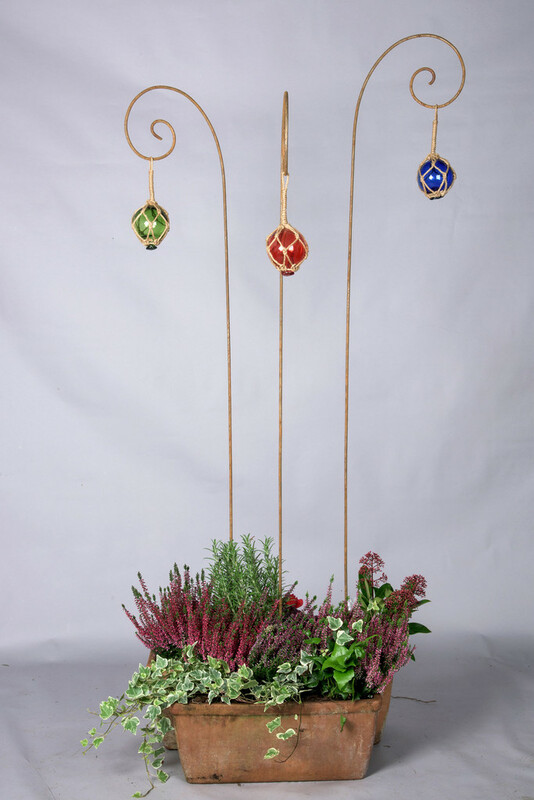 Looks equally stunning with blown glass ball decorations (not included) or with our unique bird feeders. 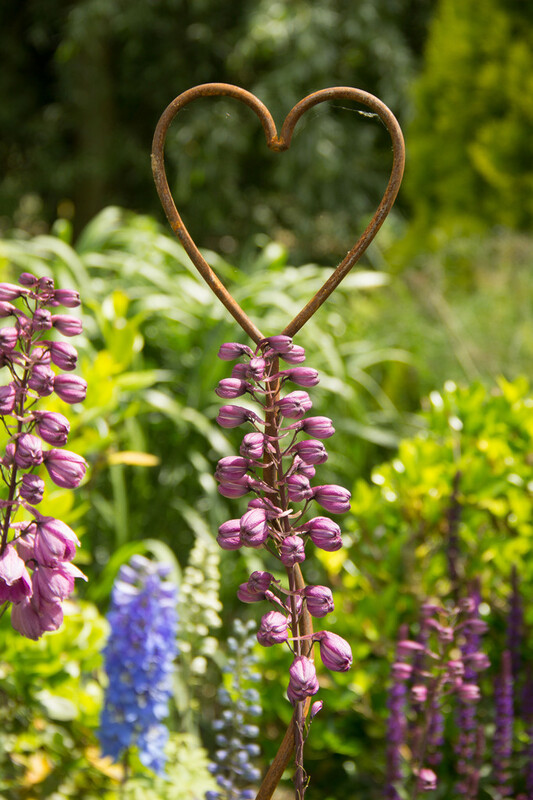 Looks beautiful rising from the borders supporting a climber or for winter interest with an apple feeder or coloured glass balls. 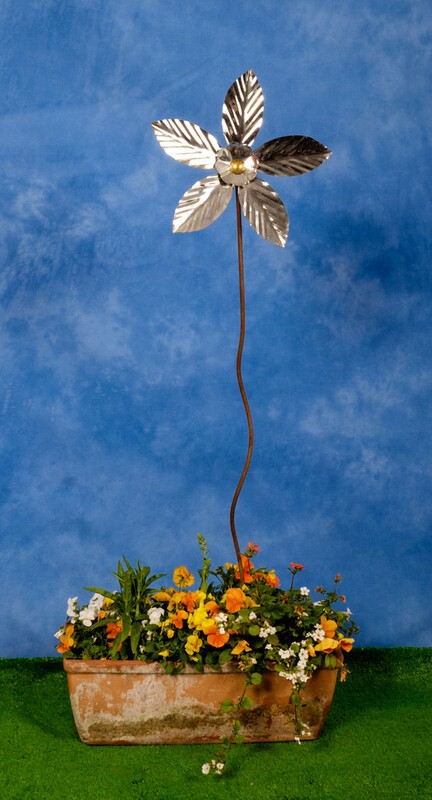 Garden Happy Flower in stainless steel. 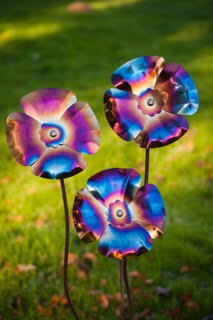 The Happy Flower is made from marine grade stainless steel and so will be bright and shiny in your garden for always. 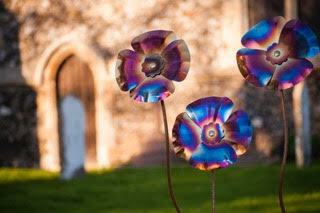 The Garden Metal Poppy Flower in powder coated steel looks stunning either when standing alone in the garden or in a group. 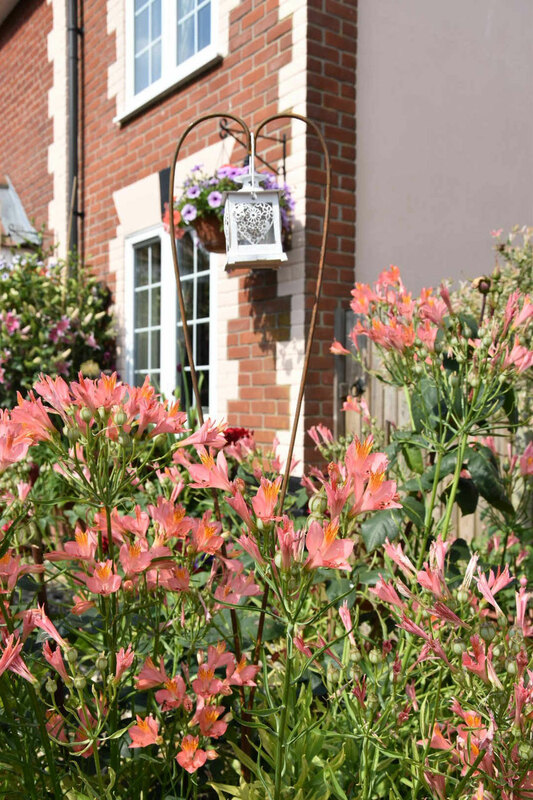 It brightens up a winter garden and stands out as a fantastic piece of art in the garden in the summer months. 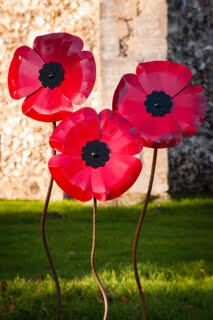 Inspired by the poppies in the Tower of London, a percentage of all of our profits for this piece go to The Royal British Legion. 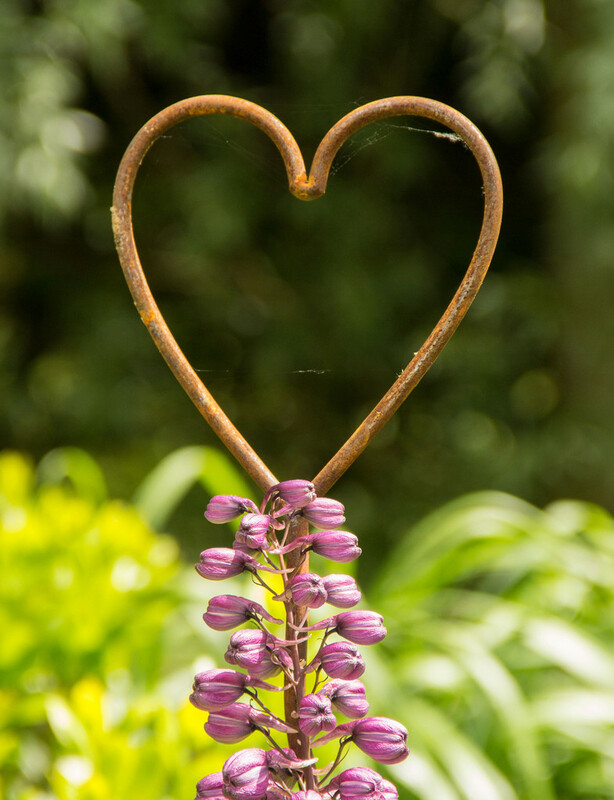 A bestseller last year as a gift for keen gardeners. Oak Leaf- Christmas decoration and mobile in heated stainless steel- perfect Christmas Gift for gardeners. 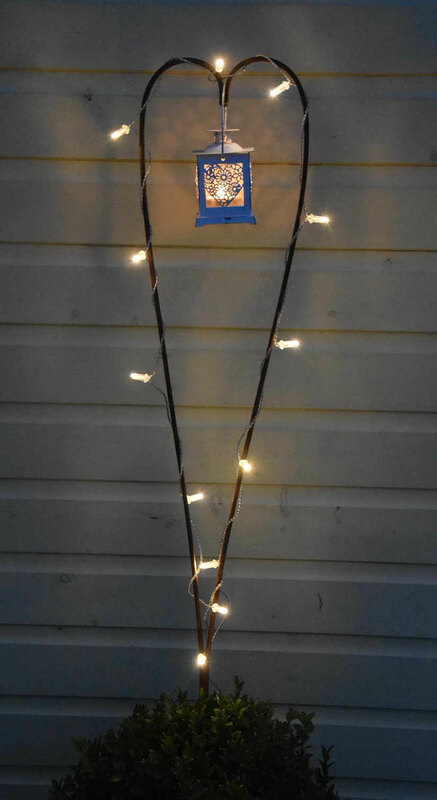 Also looks wonderful on the Christmas tree. 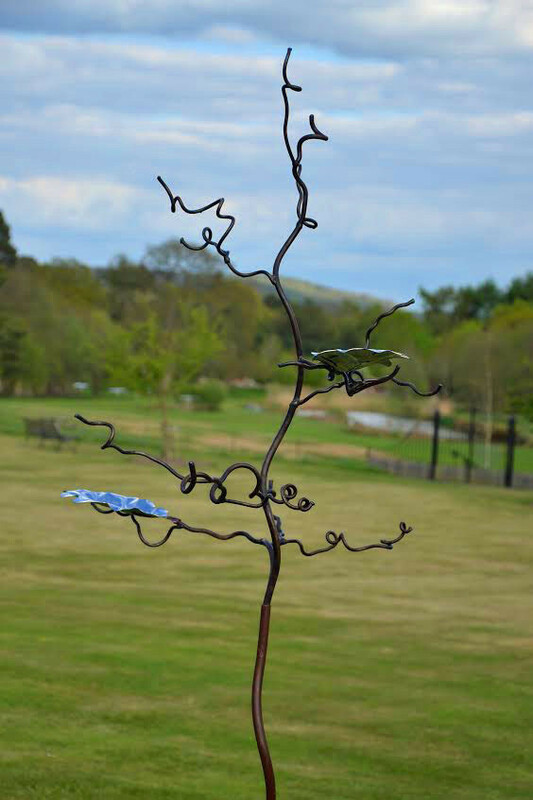 Set of 3 leaves for £20 call on 01760 441555 for availability. 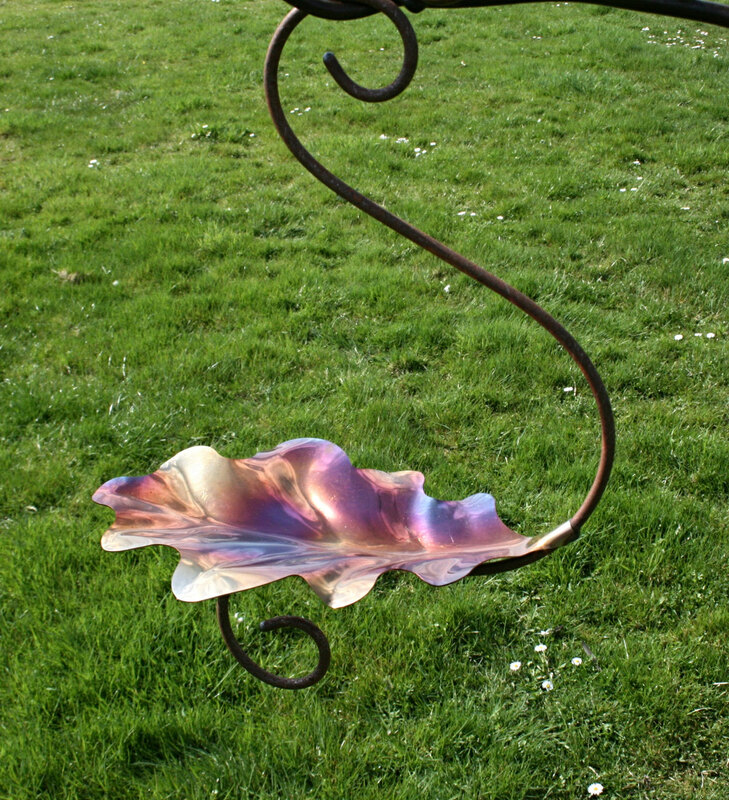 The Beech Leaf in heated stainless steel contains a myriad of colours- pinks, golds, coppers blues and greens. 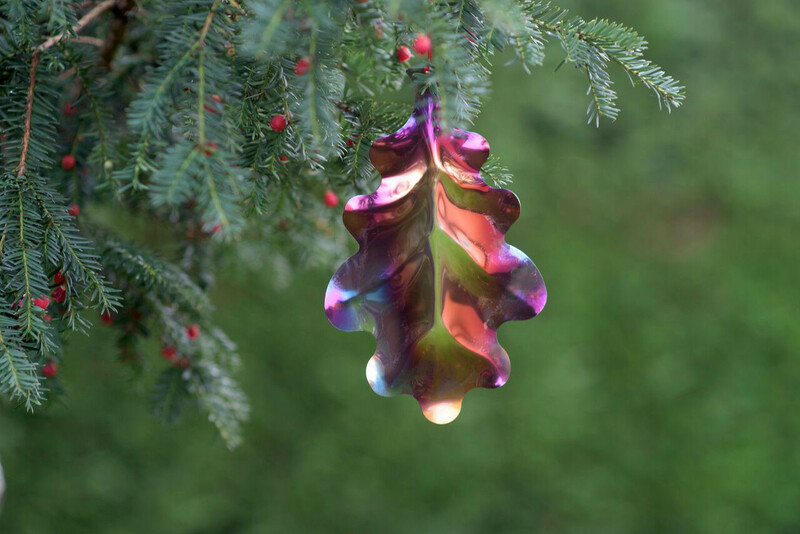 It is perfect for all seasons- embellishing a home as a decoration at Christmas, they reflect the light and the colours are highlighted hanging from the trees and birdfeeders in the garden in our summer borders. 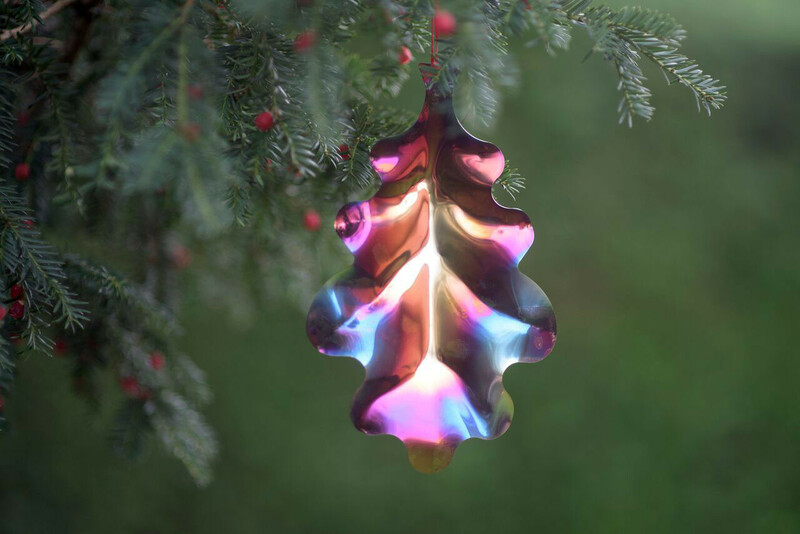 Also looks wonderful on a Christmas tree. 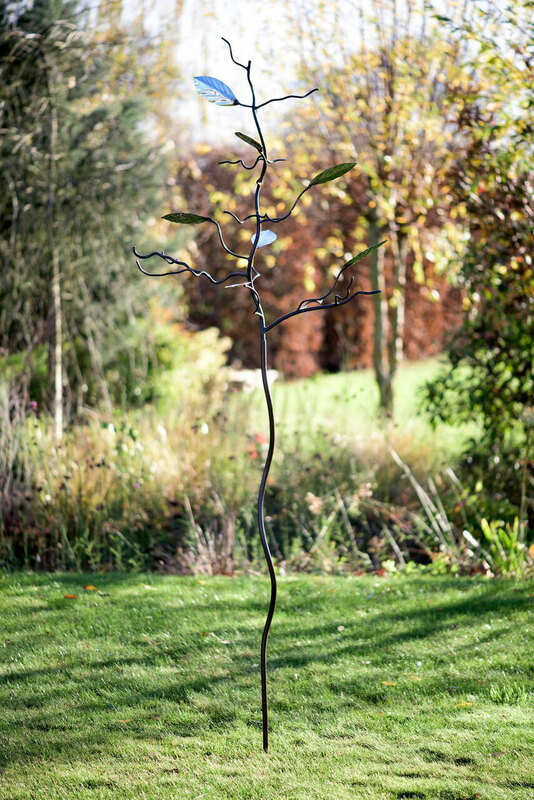 The Beech (Fagus sylvatica) has a dense canopy and many rare plants are associated with it, including a variety of orchids. 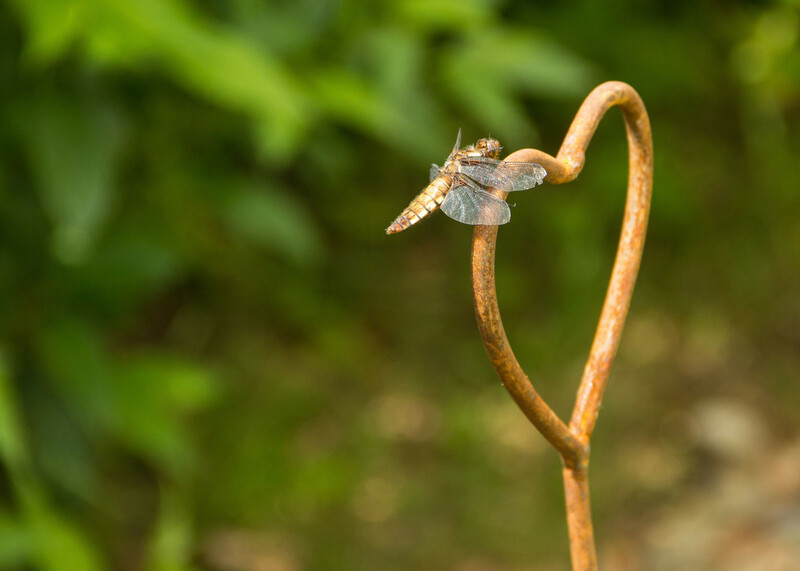 Beech woodland is an important habitat for many butterflies and native truffle grows beneath them. 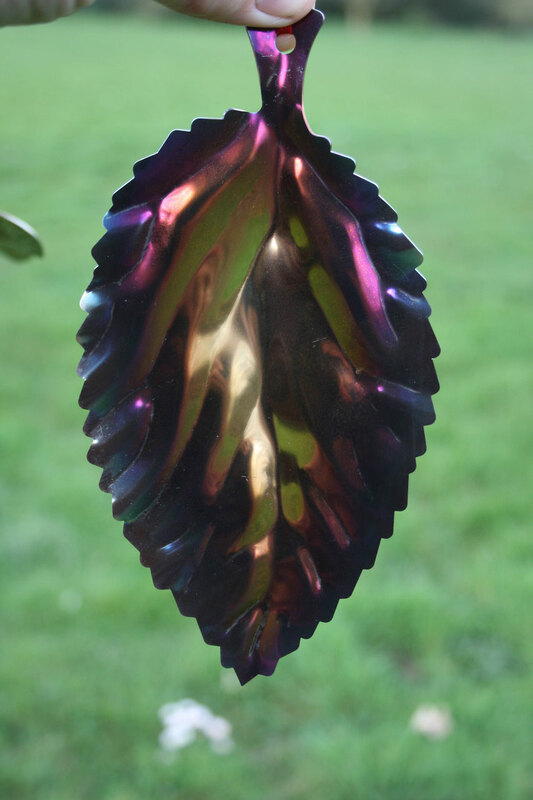 Beech is associated with femininity and was revered by the Celts as a symbol of wisdom and learning. Beech wood is used for furniture, cooking, tool handles and sports equipment. 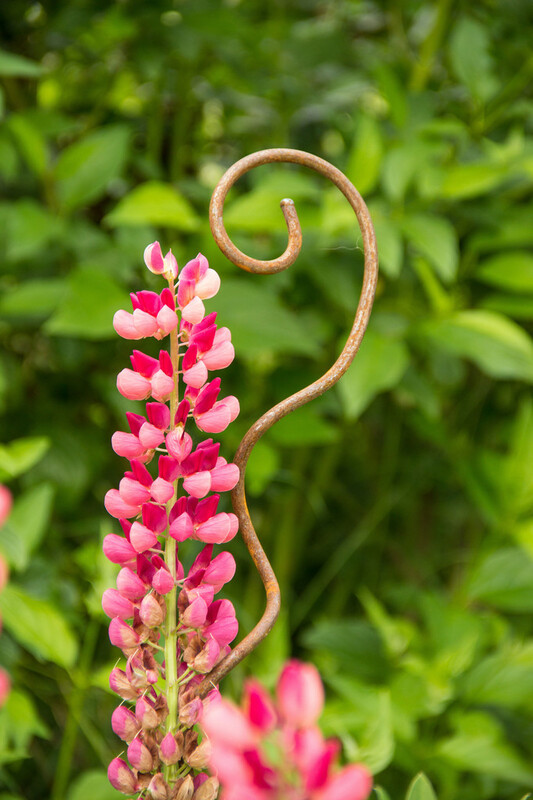 The wood was originally used to smoke herring. 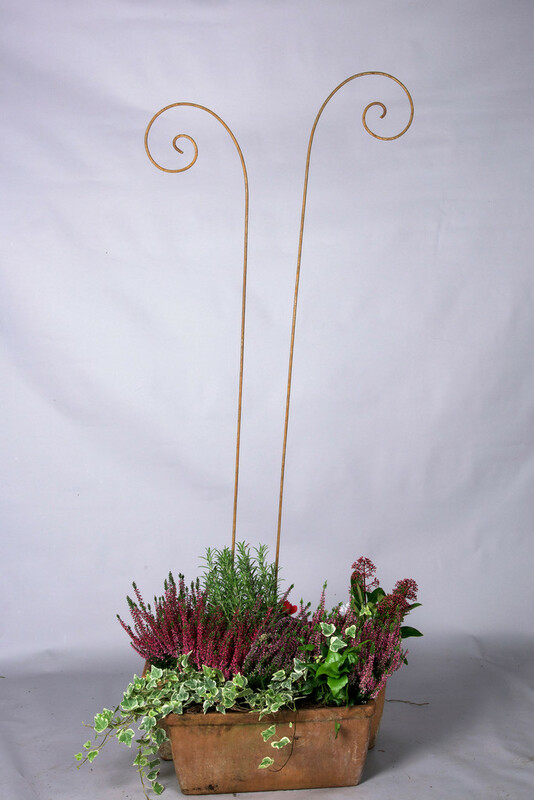 Set of 3 £20 call on 01760 441555 for availaibility. 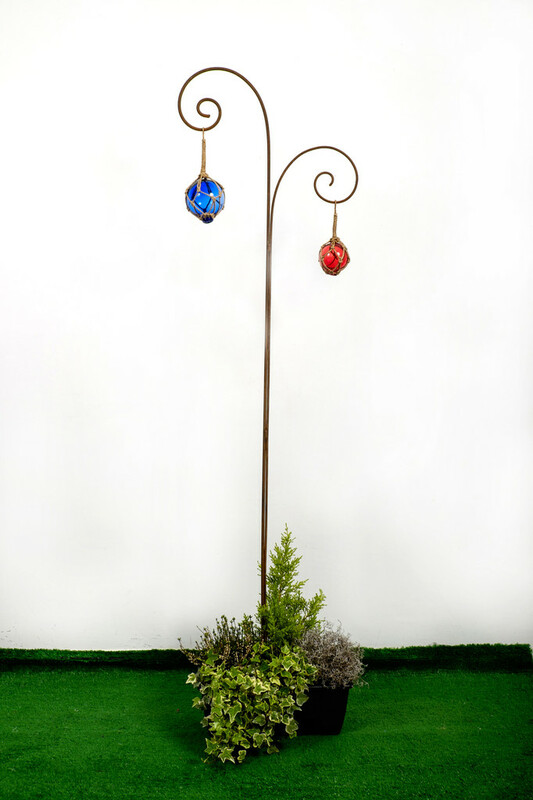 These glass floats for sale are also known as glass fishing buoys come in Blue, Green or Red and are very popular in our shop on our Fern Fronds ( not included), birdfeeder trees (not included) and as singles where buyers seem to purchase mainly for nautical decor purposes in the bathroom within a nautical home.